The last roster update for Madden NFL 11 hits sometime tomorrow, boosting Super Bowl MVP Aaron Rodgers to the coveted 99 OVR rating. This could be the roster Madden NFL 12 plays with if next season is interrupted by a lockout. The 2011 draft class and any free agent moves - that is, players becoming unsigned free agents rather than switching teams - would be the only significant personnel additions or changes before next season, if it happens. Otherwise, the ratings you see in the final update will form the basis for Madden NFL 12's personnel, and will remain that way through any work stoppage should one occur. 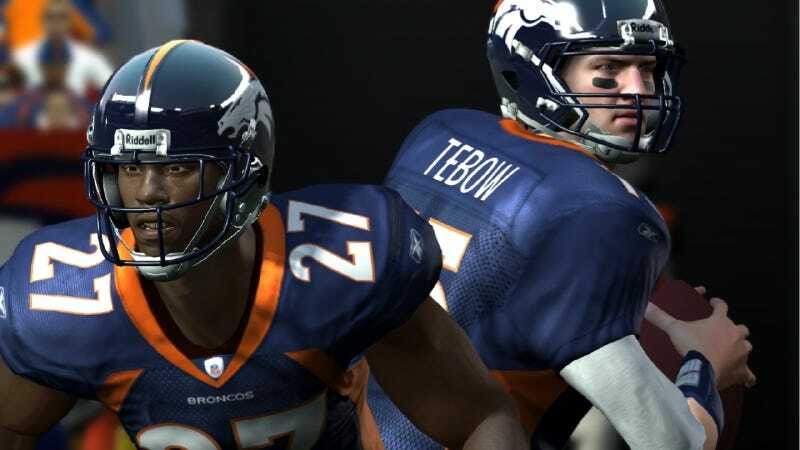 In other words, that puts the imperative on EA Sports to sell the new features of Madden NFL 12, like never before. Many sports gamers value having current and updated rosters; without a regular season to create changes, player movement and progression, it removes a large incentive for those who consistently buy annual sports titles. EA Sports noted that this update is the last of 20 this year, covering some 5,000 roster moves over the life of the season. Madden's had best-in-class post-release support among sports titles, but a lot of that comes from the dynamic of an ongoing season. Some might theorize that a lockout would send NFL fans to a video game to get their fill. But the lack of real world tie-in necessarily diminishes its value.